First edition, first impression - signed, lined and dated by the author to the title page. NOTE - whilst the book is in excellent condition, a packer's knife has sliced cleanly through the jacket front. It is an enclosed slice, and the book is undamaged. This is an excellent rare, collectable titles from early in Ellory's career - a copy that can benefit from a swapped-out jacket. Synopsis : When Catherine Ducane disappears in the heart of New Orleans, the local cops react rapidly - she is the daughter of the Governor of Louisiana after all. But the case gets very strange, very quickly. Her bodyguard turns up horribly mutilated in the trunk of a beautiful vintage car and when her kidnapper calls he doesn't want money: he wants time alone with a minor functionary from a Washington-based organised crime task force. Quickly dragged down to the deep South, Ray Hartmann puzzles over why he has been summoned and why the mysterious kidnapper, an elderly Cuban named Ernesto Perez, wants to tell him his life story. It's only when he realises that Ernesto has been a brutal hitman for the Mob since the 1950s that things start to come together. But by the time the pieces fall into place, it's already too late...A QUIET VENDETTA is both the epic novel of one man's life in the Italian Mafia - a story that ranges from Cuba to Las Vegas and from L.A. to Chicago - and equally a powerful thriller of rage, love and loss. 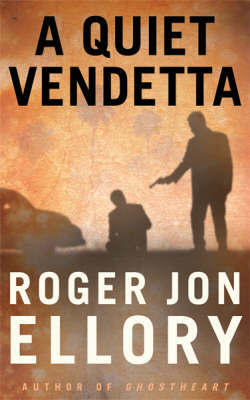 It confirms Roger Jon Ellory's place at the forefront of new thriller writing.